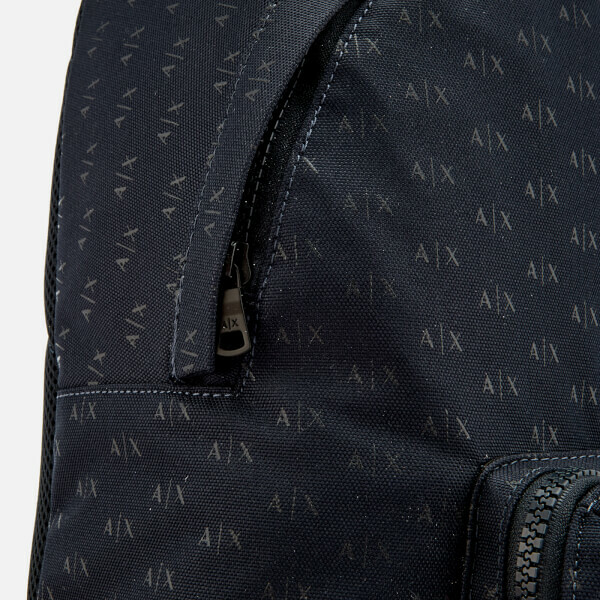 Men’s navy blue backpack from Armani Exchange. 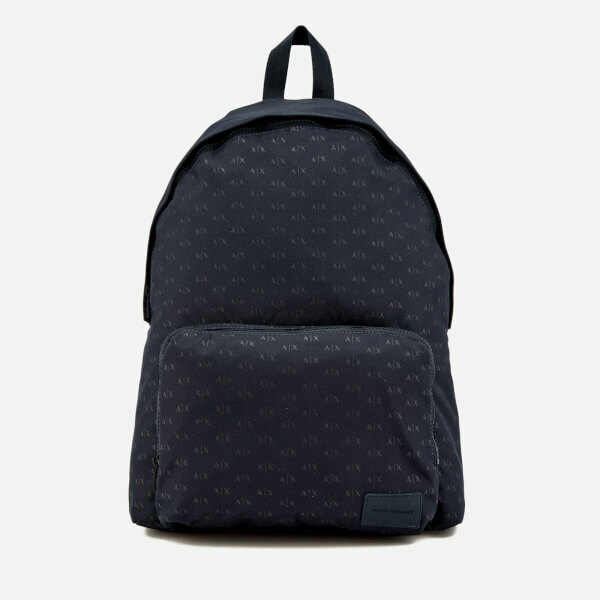 Adorned with a subtle logo print, the rucksack features a zip around fastening that opens to a spacious, lined interior with an internal utility pockets for storing smaller essentials. 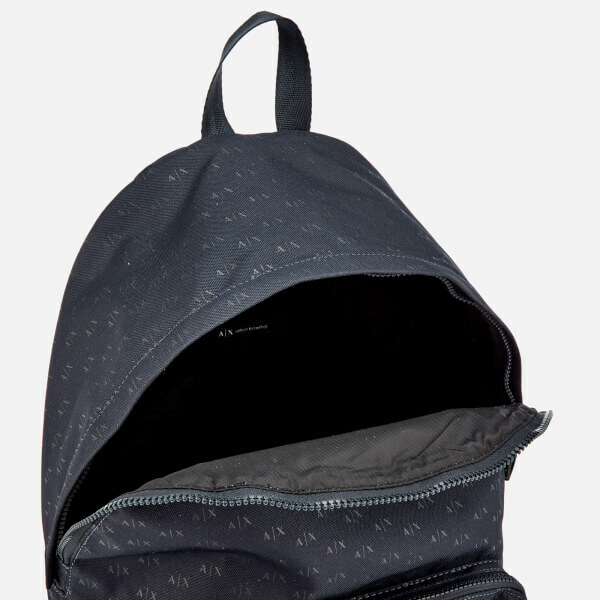 Crafted from durable nylon, the bag is detailed with an external zip pocket at the front and padded back for optimal comfort. 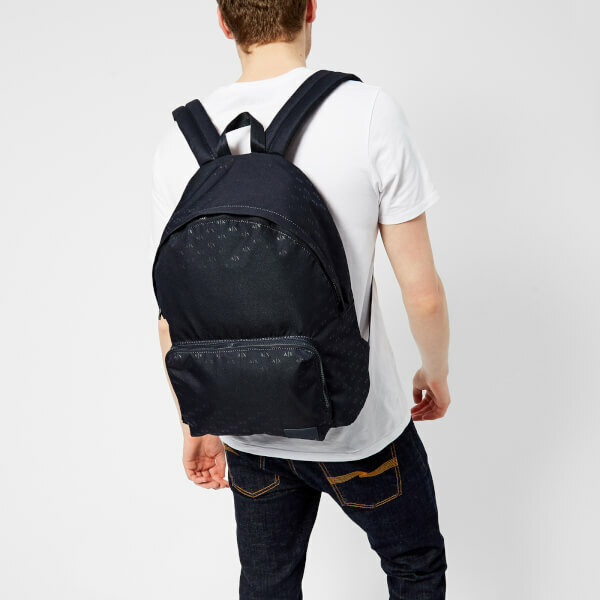 Transported via cushioned, adjustable shoulder straps, the backpack is finished with a top look and rubberised logo badge.